Verlander: Rebuilding teams won’t sign stars? 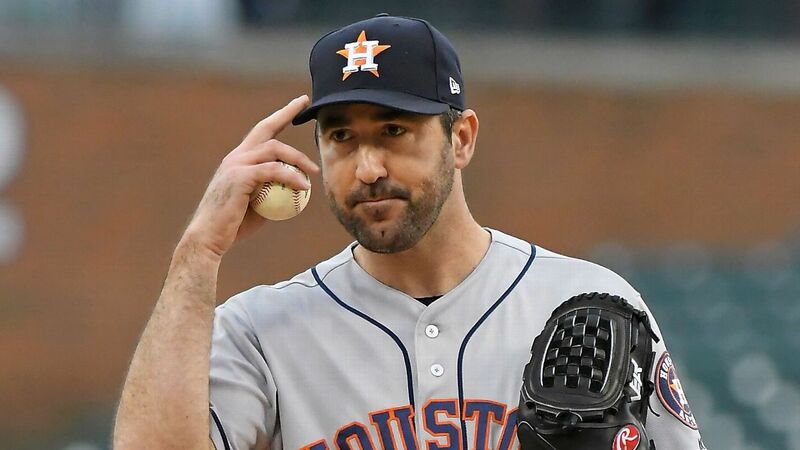 Houston Astros ace Justin Verlander isn’t buying the theory that the market for big free agents is limited by rebuilding teams not being in position to sign stars. Like last year, the marquee free agents this offseason — Bryce Harper and Manny Machado — remain unsigned as spring training approaches. The best hitter of last year’s class, J.D. Martinez, didn’t sign until Feb. 20, and the top pitcher, Jake Arrieta, didn’t come to terms until the middle of March. Players and agents are talking about collusion among ownership, while teams are touting fiscal responsibility. Whatever the reason, free agency has changed, and Verlander isn’t the only former MVP saying that the new reality isn’t good for the game. Posey’s Giants met with Harper recently, but it’s not clear if they are able or willing to offer something in the range of the 10-year, $300 million deal that Harper reportedly turned down from the Nationals. Harper and Machado have met with a number of teams, but the sense of urgency that accompanied the courtships of Alex Rodriguez and Albert Pujols has been notably absent. Reigning NL MVP Christian Yelich also weighed in on the Harper/Machado impasse, getting into a back-and-forth with Mark Samson, his former team president with the Marlins. Samson was fired by Derek Jeter’s ownership group in 2017 — before Yelich was traded to the Brewers — but he did have a history of shipping out stars for prospects. His exchange with Yelich shows the extent to which the debate over free agency has deteriorated. Martinez was coming off a huge year split between the Tigers and Diamondbacks in 2017, hitting .303 with 45 homers and 104 RBIs. History suggested a long-term, massive contract for the then 29-year-old. The market remained surprisingly quiet, however, and he ended up taking a five-year, $110 million deal from the Red Sox. Arrieta was two seasons removed from his dominant Cy Young campaign, but he was still seen as a top of the rotation starter heading into free agency. The right-hander reportedly turned down a Cubs offer in the range of what they eventually gave Yu Darvish — six years, $126 million. He settled for a three-year, $75 contract from the Phillies. It remains to be seen what Harper and Machado will agree to. Will one take a shorter term for a higher annual salary? No matter, what it’s likely some former MVPs won’t be happy about it.